Trust the hand you’ve been dealt with the Paco Rabanne 1 Million Lucky Eau de Toilette Spray, a green-woody gourmand fragrance for men. With 1 Million Lucky every day will be your lucky day. A fragrance of thrills and exhilaration, the charming aroma will help you seek out new sensations and push the limits of life. 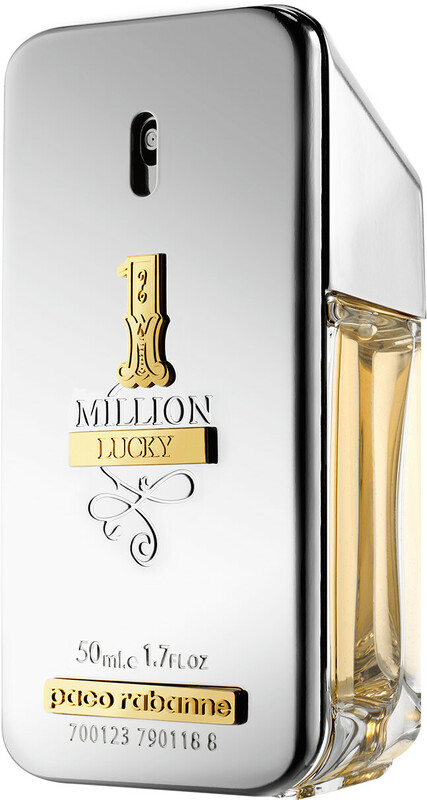 Created in celebration of 1 Million’s 10th anniversary, the 1 Million Lucky Eau de Toilette is the key to the life of your dreams. A hazelnut accord sets the tempo for this addictive scent in the top notes, before the heart raises the stakes with a shot of green plum and a citrus roulette of grapefruit and bergamot. In the base, white cedar awakens the senses, while patchouli and amber give the fragrance its seductive, golden touch.